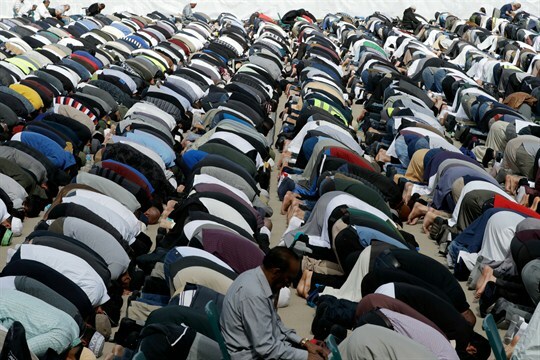 Muslims pray at Hagley Park in Christchurch, New Zealand, March 22, 2019 (AP photo by Mark Baker). In this week’s editors episode of the Trend Lines podcast, WPR’s editor-in-chief Judah Grunstein, managing editor Frederick Deknatel and associate editor Elliot Waldman discuss the Christchurch shootings, the emergence of white nationalist terrorism and its implications for national security in Europe and the U.S. They also examine Chinese President Xi Jinping’s visit to Italy and France, and what it reveals about the European Union’s internal divisions over whether to engage with China as an economic partner or confront it as a strategic competitor.